I shall offer ‘The West Pier Brighton’ for auction soon. 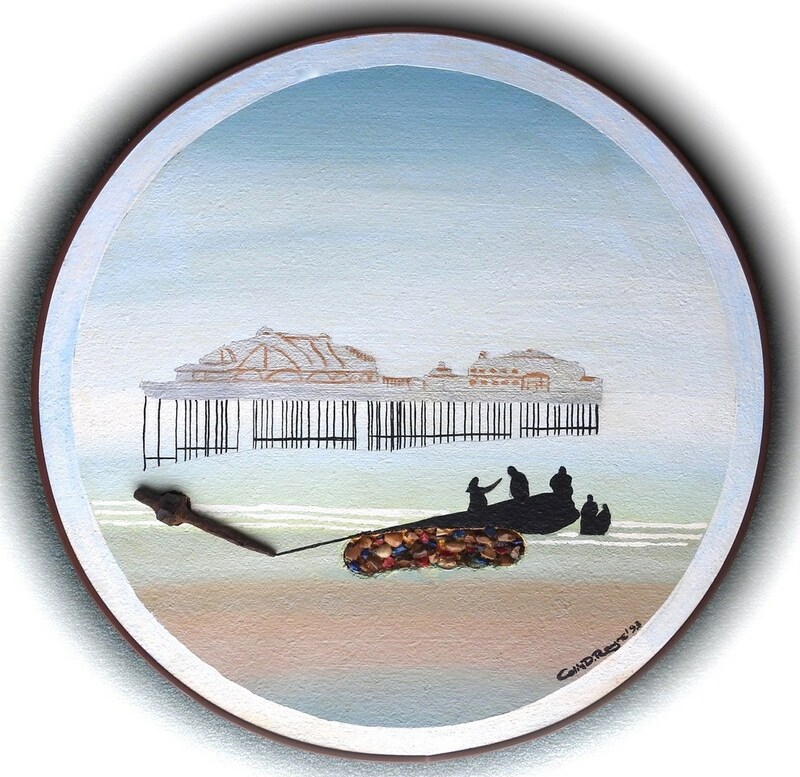 This 20” diameter circular oil painting, show the pier, in 1993, shortly after it became detached from the shore, as a result of a storm. It incorporates a bolt found close by, – supposedly from the pier’s structure. Silhouetted characters , offer a an idea of the relative size of the structure.